Maintaining accurate trucking records is important for driver safety, but may also be important in the event of an accident or other problems. Trucking maintenance records can reveal when negligence was the likely cause of an accident. Those who have been injured in trucking accidents may be entitled to compensation for their injuries. Experienced in building strong personal injury cases using trucking maintenance records for clients in and around Berkeley, CA, the attorneys of Sumner Law can help you in your time of need. Trucking companies must keep accurate records about their vehicles and their drivers for a number of reasons. 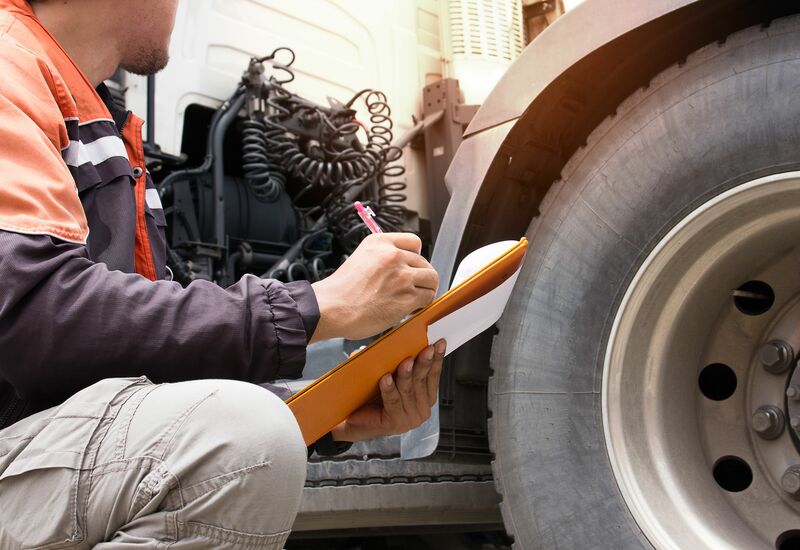 Keeping accurate records of vehicle maintenance can help ensure work is appropriately performed, which is important for keeping trucks in safe and working order, while keeping records of drivers can help ensure operators have sufficient time off before returning to the road. Trucking records can reveal much more and can be essential for building a personal injury case, as we'll discuss in this article. What Can Trucking Records Reveal? Regular maintenance was not performed: Servicing commercial vehicles per a regular maintenance schedule is essential for ensuring that vehicles are safe to be on the road. Trucking records can reveal that a truck was not regularly serviced and properly maintained, which may cause a truck to be unsafe on the road. Such information would be vital evidence in the event of an accident. Tires were not maintained: Tire maintenance is of utmost importance for ensuring commercial trucks are safe for the road. Trucking records may reveal that tires were not rotated as necessary or replaced before wearing out. If a tire blowout were to cause a trucking accident and records indicated that the tires were not properly maintained, this could be used to hold the trucking company liable for negligence. Repairs were not made: Trucking records often document problems with vehicles, such as broken taillights or issues with braking systems. Unfortunately, human error or gross negligence can result in necessary repairs not being made. Trucking records may be used to identify issues that may have contributed to an accident that had not been addressed. A trucking accident can lead to serious, life-changing injuries, or even death. Poor maintenance, neglect of repairs, or other service issues may contribute to an accident. In such cases, a truck accident attorney can obtain trucking records and other evidence to build a personal injury case and hold trucking companies responsible for their negligence. Through a personal injury lawsuit, it may be possible for injured parties to recoup medical expenses, lost wages, and other damages. If you or a loved one have been injured in a trucking accident, it is important to contact the truck accident attorneys at Sumner Law. Our experienced lawyers can review the details of your case and obtain the necessary evidence to support your claim and maximize your settlement.